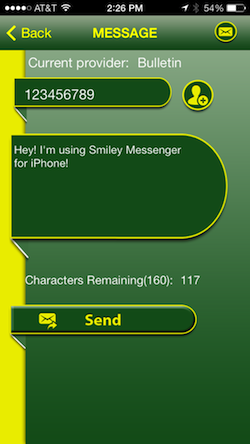 Smiley Messenger (available on the Apple App Store) is an iPhone application that connects users with a number of messaging gateways in order to send text messages. 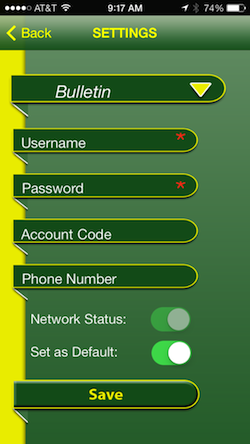 It is also a companion app to the ACT Mobile Messenger software that allows users of the Act! CRM software to send text messages directly from Act! 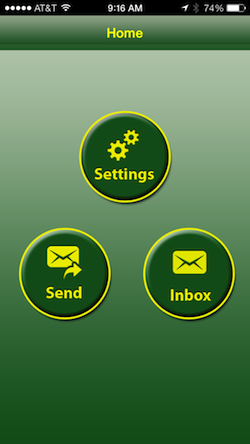 The first release of the Smiley Messenger supports Bulletin, as well as other messaging platforms. “Smiley Messenger is primarily for business users as a companion app to their Bulletin Messenger account,” Smith says. Business users can run the app on their iPhone and continue conversations on the go without skipping a beat. Duane Smith is an SMS Text Message Facilitator and Developer at ACT Mobile Messenger. Connect with him on LinkedIn to learn more about Smiley Messenger. Each month we invite developers to show us what they’re made of through our Bulletin-powered contests. As a global technology and service leader in computer to mobile messaging, we want developers of all types to help solve problems and gain a little recognition using Bulletin. Keep an eye open for our next contest in January 2014 – we’d love to see what you come up with.